Wealthsimple Review: Is it right for you? According to 100,000 Wealthsimple clients, investing really is simple. So simple, in fact, that over $3 billion dollars has been entrusted to the platform. This Wealthsimple review answers common questions about everything that you need to know to get started investing today. Wealthsimple is an online investing tool that helps your money work smarter. The user-friendly interface takes the guesswork out out of getting started and puts your investments on autopilot. You have heard the phrase “set it and forget it”, and now you can do exactly that with confidence. The investment strategy that drives Wealthsimple is based on Nobel Prize-winning research. Yeah, you could call this investment a smart move. Wealthsimple allows clients to put together an investment portfolio geared to meet their specific financial goals. The platform combines smart technology with investment strategies in order to deliver quality products with low fees. In a matter of minutes, Wealthsimple will allow you to create an account and start your financial journey. Wealthsimple is a robo-advisor that marries Modern Portfolio Theory–that’s the Nobel-Prize winning research–with low fees. Essentially, Wealthsimple gives all of their clients access to custom asset allocation for very low cost. That’s fancy talk for spreading your money out across the market in a way that makes sense for your individual goals and your specific personality. By spreading out your money, you are more likely to maximize your returns and lessen your risk. If you are looking to be more aggressive in the market, you have that option. However, if a more conservative plan is better suited to your financial timeline or risk tolerance, Wealthsimple can set you up with a portfolio for that. The best part, though, is that the questionnaire you take when you open your Wealthsimple account will actually help you get a better sense of your investing style. A money platform that gets to know the real you and helps you keep more of your money by charging low fees. Imagine that. Wealthsimple is for everyone. Truly. Often times, people feel that saving and investing are only for people who have high incomes or have a background in finance. Wealthsimple is here to bust that misconception. Thanks to their low fees and no minimums, they create a portfolio for anyone and everyone who is interesting in putting their money to work in the market. A risk-free questionnaire drills down to determine your exact goals and risk tolerances and sets you up with a portfolio option customized to your preferences in a handful of minutes. If you can click a mouse, you can start investing. What are the account minimums to invest? No. There are no minimums. Remember how we said that Wealthsimple wants to make saving and investing accessible to everyone? This is one way that they do it. Wealthsimple does recommend that users set up a pre-authorized contribution plan once you open your account. That way, you will automatically be able to send money to your account. Of course, you have flexibility and control over these deposits, but Wealthsimple believes this is a great way to start building that savings muscle. What range is Wealthsimple returns? Here’s the thing. There’s no way to predict what the market will do in the future, and there’s no way to really know what kind of returns you’ll see using Wealthsimple. What you can guarantee is that Wealthsimple will help you minimize fees while maintaining a diverse portfolio. As an added bonus, they have tons of stories and ideas featured in their Magazine to help you keep your emotions in check in case the ride does get a bit bumpy. It’s also important to note that Wealthsimple is set up in a way that you can evaluate your own risk tolerance and choose a portfolio based on that. There are Growth, Balanced, and Conservative options. The Growth portfolio has grown by 29.84% since 2014. Balanced has grown by 14.67% and Conservative has grown by 10.36%. Wealthsimple fees fall into two categories based on the amount of your net deposits. If you have less than $100,000 in assets under management by Wealthsimple, you will pay a management fee of 0.5%. If you have $100,000 or more, your fees drop to 0.4% and you are eligible for other Wealthsimple Black perks. Wealthsimple strives for transparency to help you keep a better handle on the fees you are charged. As a result, the Activity tab in your account profile will always allow you to see the fees you are paying. Can I speak with a real person? In today’s era, we rely on computers for so many things, but sometimes you just need to connect with a real human. Wealthsimple gets it. Their Client Success team is a click or a call away. You can submit a request online or you can reach the team by phone Monday-Friday at 1-855-255-9038. They are available to address questions about topics ranging from opening an account to specific financial plans. If you’ve got a question, they will find you an answer. What is Wealthsimple’s Socially Responsible Investing? Wealthsimple is answering the call for more social responsibility when it comes to making money. 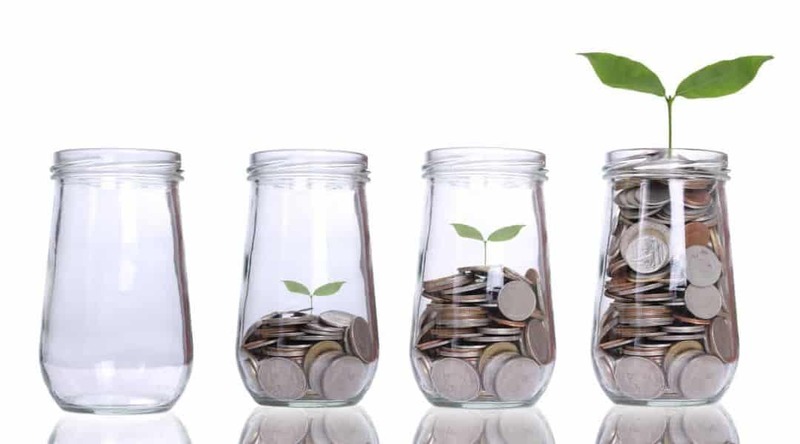 Socially Responsible Investing (SRI) allows clients to diversify their portfolio while investing specifically in global initiatives that are more socially responsible. The focus of these initiatives include low carbon, cleantech, human rights, environment, and government securities. It’s a win for your wallet and the world. Wealthsimple is designed with its clients in mind. Wealthsimple knows that people want a simple investing experience for low fees, and Wealthsimple also understands that there are specific investing principles certain clients want to follow. The companies and investments in this portfolio have been carefully vetted by a third-party group of Shariah scholars to ensure that they comply with Islamic laws. That means that businesses in this portfolio do not profit from tobacco, gambling, or weapons, nor do they generate significant income from interest on loans. Halal investing is one more way that Wealthsimple it determined to put their clients first. How do I withdraw money from Wealthsimple? You can move between your Wealthsimple accounts with the click of a button. The same is true for withdrawing money or even closing your account. Oh, and there are no transfer fees. The withdrawal process is that simple and there’s no catch. Wealthsimple believes that your money is your money. Really. While we are on the subject of moving money, let’s talk about one more type of transfer you might make. If you decide to move your money into a Wealthsimple account from another bank and your account has more than $5,000 in it, Wealthsimple will actually cover any transfer fees that another bank might assess. Wealthsimple Black is a program available to clients who have over $100,000 invested with Wealthsimple. Benefits of the program include reduced management fees and lower taxes. The Wealthsimple Black management fee is 0.4% instead of 0.5%, and clients can take advantage of tax-loss harvesting. They also have access to tax-efficient funds. Additionally, clients benefit from financial planning services tailored to their specific goals and access VIP airport lounges around the world. Even if you are not eligible for Wealthsimple Black when you first open your account, as soon as your portfolio crosses the $100,000 threshold, the Wealthsimple team will help you access all of the Wealthsimple Black perks. Automatic rebalancing is one way that Wealthsimple lets your money work smarter and harder on your behalf. This free service uses their automated technology to keep your portfolio aligned with your financial plan. Let’s say the market dips, you make new deposits, or you change your risk score. Wealthsimple’s smart technology detects any change, and it will automatically shift your portfolio to make sure that the way your money is invested is working to help you meet your goals. Tax-loss harvesting is an investment strategy that is available to Wealthsimple Black clients. Essentially, it allows clients who have experienced investment losses to reap certain benefits at tax time. By selling investments that decreased in value, you are able to save money from an income tax perspective. In addition to only being available to Wealthsimple Black clients, tax-loss harvesting also isn’t always the right strategy because it depends on other factors like overall income and your plans for the funds in your account. As a result, even if you do qualify for Wealthsimple Black status, you may want to work with someone at Wealthsimple to see if it is the right decision for you and your portfolio. 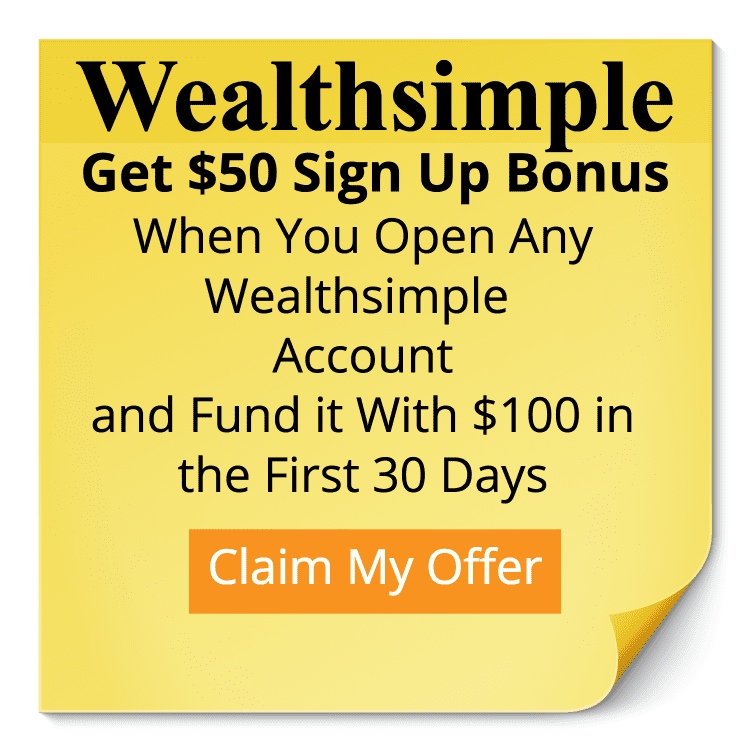 What is Wealthsimple Smart Savings? Wealthsimple Smart Savings is a high-yield online savings account by Wealthsimple. The rates are significantly higher than the average bank, with accounts earning 1% interest in the United States and 1.7% in Canada. Additionally, there are no minimums and no transfer restrictions. That means that you can move your money where you want when you want without worrying about any fees. The best part is that you can manage your Smart Savings and other investment all through a single Wealthsimple account. You can keep your eye on your money with just a few clicks. What products does Wealthsimple offer in Canada? What products does Wealthsimple offer in US? What products does Wealthsimple offer in UK? Wealthsimple Roundup is a painless way to save more money. By rounding up your usual purchases to the next dollar, Wealthsimple is able to help you stretch your savings rate and meet your financial goals faster. That coffee you would normally buy for $4.75 becomes a $5.00. Then, at the end of the week, the “rounded up” amount is transferred into your Wealthsimple account from your chequing account or other designated account. You can use Roundup to beef up your RRSP, TFSA, Personal, Savings, or Joint accounts. Roundup is currently available to Canadian Wealthsimple clients, and Wealthsimple has plans to expand this program to other countries as well. What products are coming up for Wealthsimple? Wealthsimple started offering smart investment options on autopilot in Canada in 2014. Since then, it is has expanded offerings to clients in the United States and in the United Kingdom. In addition to offering investment options, Wealthsimple is also growing their product offerings through programs like Smart Savings. Currently, Wealthsimple is testing out a new stock trading platform called Wealthsimple Trade for Canadian clients who want to be more actively involved in their investments. True to their mission of putting their clients first, this platform will charge zero commissions. In 2018, Wealthsimple has more than 65,000 clients in the three markets and manages over $2 billion, and Wealthsimple plans to keep growing. Wealthsimple truly is investing simplified. If you have been putting off investing because it seems too complicated, it has never been easier thanks to Wealthsimple. Additionally, there are no minimums necessary to open an account. That means that virtually anyone can start investing today. A few clicks will get you set up with an intelligent portfolio tailored to your specific goals and investment personality. As an added bonus, you can snag an extra $50 when you sign up and invest $100 just by using this link. Low fees, no minimums, and some extra cash to get you one step closer to a brighter financial future. If you’ve been looking for an easy investment option, Wealthsimple is it. Wondering how to get started with Wealthsimple? We have a step-by-step walkthrough for you. 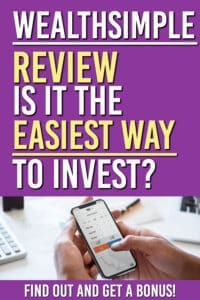 Share this great review with others so they can start investing!